Here's another in the newly created series . . . You Asked for It! My colleague and once-time left-handed tennis partner Tom asked me to write about home beer brewing. Sadly, I have zero experience in this field, so I can only break down the components of his suggestion and tackle those to see what I can come up with. A. I've never tried to make beer at home, but I have been known to drink beer at home. What sort of beer, you might naturally ask? Lots of different kinds. I've never been the sort of person who settles on one beer and drinks that to the exclusion of other choices. I like variety and I like to experiment with different kinds of beer. Here are the brands that I have liked the most in recent years. Sorry, but these probably won't turn out to be terribly exotic. I'm not that creative. There was a time when I was big into Molson. Some people say that Canadians are especially devoted to beer, but maybe that is just me remembering the McKenzie Brothers from my youth. Still, I liked the taste of Molson Light well enough and I've always found the Canadian maple leaf aesthetic to be a pleasing logo in a variety of contexts. When Lynda and I visited San Francisco for our 10th wedding anniversary years ago, I drank Anchor Steam beer for the first time. I liked the taste and I especially liked the distinct bottle shape and labeling. Anchor Steam isn't found in every grocery store around here, but I have reliably found it in Giant Eagle and if I'm in a beer drinking mood that also combines with a hankering for nostalgia, I usually spend the extra $1.50 to take a drink down memory lane. Samuel Adams beers are easy to find, so I often pick them. I especially like to get their variety packs and also like their autumn and winter seasonal beers. I don't usually go for a regular old Sam Adams Light, but there is nothing wrong with that either. Speaking of seasonal tastes, during the summer I like the Leinenkugel's Summer Shandy beer on a hot day when I might be spending time outside for a cookout. The strong lemon flavor is a good choice. Finally . . . lately I've been enjoying the Magic Hat Elder Betty beer. It's a quirky name and the flavor is interesting. It might just be my latest experiment, but its a good one--for now. B. Secondly, when I think of home brewing, I think of bathtub gin. I've never made (or tasted) that, but I have used my bathtub for unconventional means. 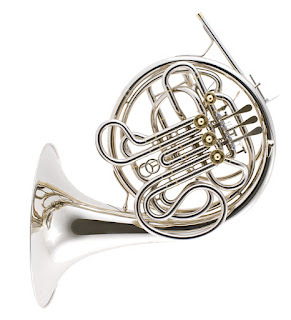 Back in my high school band days, I'd occasionally commandeer the bathtub at home to clean my French horn. This is something you have to do every now and then--fill up the tub with water, pull all the slides out of the horn body, unscrew the valve covers, let soak. Then you take everything out to drain, dry off, reapply slide grease to the tubing, add new valve oil, etc. If you are in a really industrious mood (or if you had a concert coming up, you might follow this maintenance up with a bit of silver polish and buffing to make the newly cleaned instrument shine and look impressive. Where is my F-horn now? Down in the basement, awaiting the day I decide to drag it out and find how few notes I can still play. Anyway, Tom . . . there's my answer to your suggested writing prompt. Thanks for the input and I hope you learned something new.